Revolutionary change is coming in regards to the way companies recruit and manage employees in the social world. 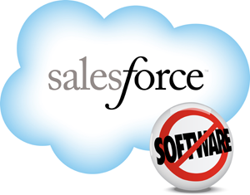 Salesforce.com has already made great changes to the traditional Customer Relationship Management model and now plans on changing the traditional Performance Management model by purchasing Rypple, a cloud-based social performance management company that will be renamed to “Successforce”. With employees desiring social performance management, more HR professionals are meeting their needs with social goal management platforms. Salesforce.com is quickly moving into the Human Capital Management market, as the need for agile performance management is great. At least 53.8 percent of surveyed employees reported that they were disappointed with their talent management software; therefore they are ready for something new and innovative. WorkSimple has a similar idea with its Social Goal Management platform and actually developed the first performance platform based on real-time work and goals. Salesforce.com is now moving in a similar direction as WorkSimple – combining enterprise performance management with social and engagement technology. The idea is to use social media type updates and online identities to provide feedback and set goals within an organization. With the acquisition of Rypple, SalesForce also keeps up with its rival SAP, which is also moving deeper into performance and talent management. SAP recently made a large acquisition of SuccessFactors, one of the leading companies in enterprise level employee performance management. Both companies, SalesForce and SAP, provide a host of software services to large companies and the new HR/employment verticals compliment their existing suite of tools and services.